The president of Chicago’s police union on Tuesday said they were unhappy that prosecutors dropped charges against “Empire” actor Jussie Smollett, adding that the move validates their request for federal authorities to investigate the county’s top prosecutor. Chicago’s Fraternal Order of Police (FOP) President Kevin Graham told Fox News that the move by prosecutors was unusual considering what he described as the strong case pulled together by the city’s police force. The union was not given a heads up to the announcement, he said. 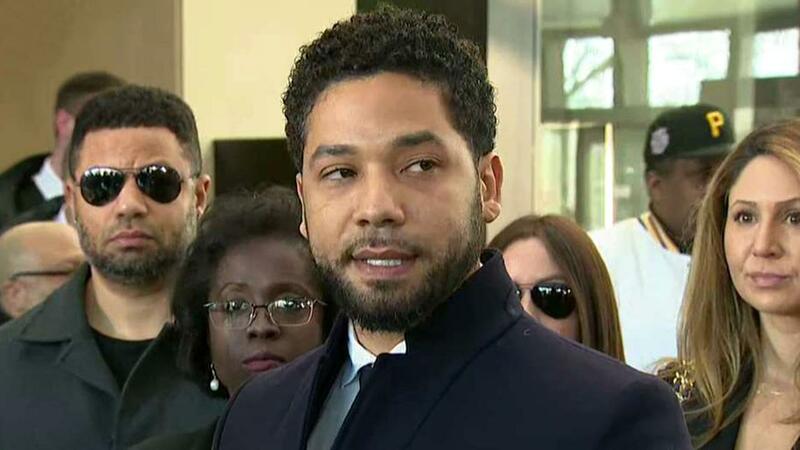 Earlier Tuesday, the Cook County State Attorney’s office announced that all 16 felony counts against Smollett, 36, were dropped and the record in the case was sealed. Smollett told police he was attacked by two masked men as he was walking home from a Chicago Subway sandwich shop at around 2 a.m on Jan. 29. The actor, who is black and openly gay, said the masked men beat him, made derogatory comments and yelled "This is MAGA country" — an apparent reference to President Donald Trump&apos;s campaign slogan, "Make America Great Again." Last week, the FOP asked federal authorities to look into Cook County Prosecutor Kimberly Foxx, who previously recused herself from the Smollett investigation. “Graham made the request to U.S. Attorney John Lausch in a March 15 letter concerning reports that Ms. Foxx attempted to influence the police investigation at the behest of an attorney and family members of Jussie Smollett,” the union said in a March 18 entry of their blog. Foxx previously asked Chicago Police Superintendent Eddie Johnson to let the FBI investigate Smollett&apos;s alleged attack after the former chief of staff to former first lady Michelle Obama reportedly contacted Foxx to inform her that Smollett&apos;s family had concerns about the probe. “I can’t think of a better way to make sure that the information doesn’t come to the light of day than by dropping the charges and making sure all the records are sealed,” he added. Fox News’ Andrew Keiper, Jessica Sager and The Associated Press contributed to this report.